The Hazard Perception Test (HPT) is a practical, computer-based test. 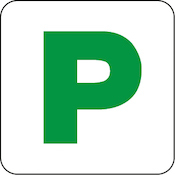 To get an idea of what the HPT will look like and how you will interact with the test you should use the practice tests available on QLD Driving Test. These tests will enable you to refine your hazard perception skills within the context of a computer-based test before and between attempts at the actual HPT. This helps you avoid wasting time preparing and taking the test multiple times. There are 5 practice tests, each with 7 questions for a total of 35 questions. They consist of clips of real traffic situations and require a quick response, just like the real HPT.